The provocative styling of a used Nissan Juke SUV immediately draws in drivers across Beaverton, Portland, and Vancouver, but its ability to surprise goes beyond surface-level. Surprisingly potent power and legendarily taut suspension helps used Nissan Juke models match striking style with thrilling driving dynamics, and a wonderfully flexible interior will seal the deal for family drivers, young professionals, and anyone in between. One of the perks that comes with buying used is the opportunity to drive more interesting vehicles than would normally be in your budget, and a used Nissan Juke SUV certainly meets the criteria. As flashy as its drive and body is, you’ll still find plenty of versatile interior space and a score of high-end features; however you want to express yourself, the Nissan Juke will help. 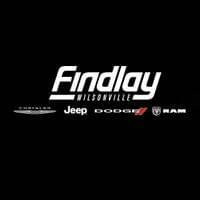 Findlay Chrysler Jeep Dodge RAM of Wilsonville is the largest indoor dealership in the Pacific Northwest, so you can expect to find a full range of used models when you visit us. If you find one that catches your eye, simply schedule a test drive or contact us today to explore financing.